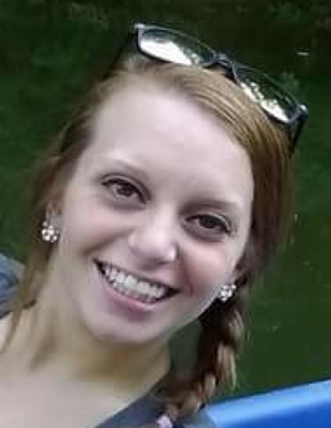 Maria Lynn Flickner, 26, of Corydon, died Thursday, January 31, 2019 at Harrison County Hospital in Corydon. She was born April 24, 1992, in Corydon. She was employed at Holiday Inn Express, Lee’s Fried Chicken and Walmart all in Corydon. She was preceded in death by her father, Robbie Lynn Flickner; her grandfather, Robert “Hoot” Flickner and her brother, Brandon Lee Gibson. Survivors include her mother, Dee Dee Cole Gibson (Brian); her daughter, Rita Marie Good; her brothers, Regal Lynn Flickner (Lindsey) and Waylon Lynn Flickner; her grandparents, James “Hood” Cole, Tommie Cole and Susan Flickner; and her great grandmothers, Dorothy Shireman and Monnie Flickner. Visitation will be 4:00 – 7:00 p.m. Tuesday, February 5, 2019, at Beanblossom-Cesar Funeral Home in Corydon. The family requests that expressions of sympathy be made to Maria’s daughter, Rita.